– July 24, 2012Posted in: SusieQ FitLife Breaking News, SusieQ FitLife Updates! Never giving up, will allow anyone to witness that dreams do come true! No matter what we perceive in our minds to be true is 100% accurate; regardless of the logic or lack thereof, we are always going to be correct with our outcome. Simply, we will achieve whatever, it is that we believe! Ask yourself these questions: What genuinely makes me happy? What would I be willing to do, even if I were not being paid or compensated for my time? What would I do right now, if I knew I could not fail nor feel shame or embarrassment? 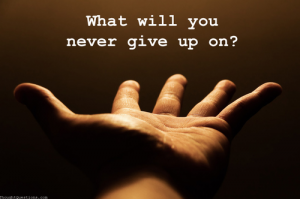 Your answers will connect you to the core of your inner self, bringing you closer to your true purpose in your life, allowing you to actualize & visualize your dreams! The Destination does not derive our joy; it’s rather the journey that provides the life lessons, allowing us to appreciate & relish the triumph! Fighting Childhood Obesity, alongside Michelle Obama is a major goal for Celebrity Fitness Trainer, SusieQ! Getting past Secret Services, could be considered a Bigger Dream! But not for SusieQ, especially just having met Barack Obama, last week! Okay, maybe it wasn’t Barack, but it was a wonderful International Model “look alike” by the name of Samuel Kobina Roberts! Mr. Roberts is a complete pleasure to meet! The fabulous people that we meet along the way, can teach us so much about life through their eyes; as we continue to grow and learn more about ourselves! Living your dream will require you to select the people in your life, extremely carefully! Dream killers, energy drainers, and potential haters need not apply to have VIP seating during your FitLife Show! Considering that we all are own worst enemies there is no need to have additional help on the sidelines. Seek supportive, loving and inspiring mentors in your world! Author/Motivational Speaker, Financial Planner & Jazz Musician, Mr. Dan Bodanis became a great inspiration for SusieQ. It is essential to have people who are living out their dreams and doing what they love! When you surround yourself with people who support & believe in the path that you walk, it will attribute to your success! Personal success begins when we begin to create a plan of action with persistence; while taking the most challenging steps in our FitLife! Make a decision! You have the power to write your biography, through making solid & sound choices. Failing to make a decision is the basically planning to fail! Many people enjoy taking the “failing to plan” route, because it frees one from having to say they attempted a plan of action and failed in the process. Failure only stems from failing to re-attempt or continue with a planned mission! When your hand is closed, you can’t be open to new possibilities, nor can you grasp, hold or open doors! Reaching for your dreams beyond the sky can bring you closer to the stars, even if you miss! However, if you fail to DREAM BIG, you can aim for the trees and possibly hit the ground! 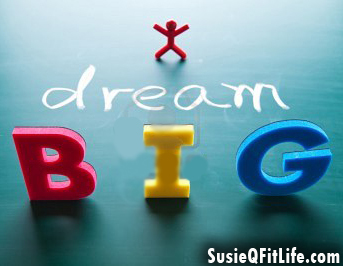 Don’t hit the ground & don’t fail to DREAM BIG! Please inspire our FitLife Family with your personal experience & dreams! We’d love to hear about your dreams & adventures in our comments section below! Thank you, for getting a FitLife with us!